Wedges are the most versatile of all clubs in any golfer’s bag, and versatility is what continues to be targeted by major club manufacturers with some interesting new changes on the market. The ultimate goal of wedge play is to have a set – perhaps two, three or four, depending on your game – of wedges that provide accuracy and green-holding spin from 100 yards and in; control from around the green; solid performance from all lies whether sand, fairway, rough or (if you are Bill Haas in last year’s Tour Championship) water; and options like flop shots or bump-and-runs when situations call for them. Yes, indeed, golfers need wedges that are versatile and the ones reviewed below strive for just that, and perhaps more. 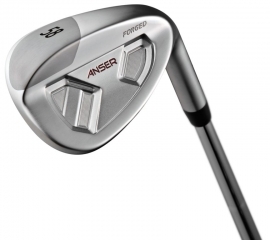 The Ping Anser Forged series of wedges are a handsome set of golfing tools that use multiple materials in their construction, despite being a forged club. Primarily made form 8620 steel, they incorporate a tungsten toe weight that is designed, along with the club’s cavity-back construction, to position the center of gravity where golfers hit the ball. This improves consistency on off-center hits around the green but also contributes to a heavier feel. Some golfers might find that encouraging, as though the momentum of the club could power through any lie and help maintain acceleration through the ball. Others might find it too big of a departure from the rest of their set and provide too much of a different feel on full shots. Whatever the case, these wedges are worth a check and might be just what you need. 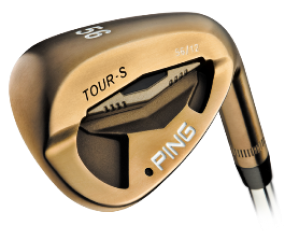 Ping has another wedge line worth noting in the Tour-S and Tour-S Rustique. The latter is named according to its finish and is the same club that Louis Oosthuizen used to dominate the British Open a couple of years ago atSt. Andrews. That course certainly calls for versatility, which Oosthuizen demonstrated while wielding these clubs. In any finish, the Tour-S line of wedges feature a deeper cavity back than the Anser Forged, and incorporate some key design features fromPing iron sets to improve forgiveness and feel. Namely, those features are a polymer insert in the cavity and an angledCustomTuningPort, the former for sound and feel and the latter for forgiveness. 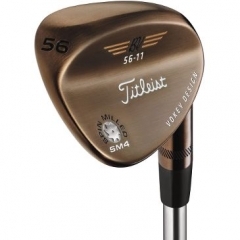 Titleist’s Vokey SM4 wedges are the latest from legendary wedge designer, Bob Vokey. With grooves designed to the maximum limits of conformity, along with a textured face, these wedges impart a tremendous amount of spin and provide control from a variety of lies. To preserve that ball stopping spin, the face of all SM4 wedges undergo a special heat treating process that enables grooves to maintain their edges and the face to keep its texture. The SM4 wedges come in three finishes, Tour Chrome, Black Nickel, or (my favorite), Oil Can. Vokey builds versatility in to these wedges with specific sole grinds and bounce options to match a myriad of choices in lofts. 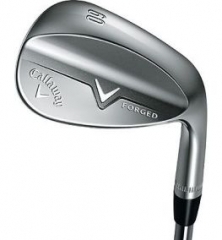 The new Forged Wedges by Callaway have been designed by Roger Cleveland to provide maximum versatility as well. His special “C grind” clubhead design includes the removal, or relief, of material along the heel of the sole to allow golfers to keep the leading edge low when the club is laid open for a flop shot or other delicate chips and pitches. That also allows the club to maintain bounce throughout the rest of the sole, providing help out of sand and soft lies. 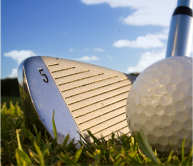 The clubface also has tightly spaced conforming grooves that provide a lot of spin. It comes in a couple of finishes which are aptly named Dark Chrome and Copper. TaylorMade’s new ATV Wedge is perhaps the most unique of the batch, and it not only promises versatility, it has “versatility” in its name. 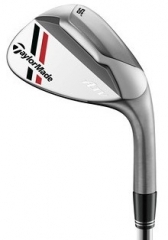 That’s because ATV stands for All Terrain Versatility, a claim that TaylorMade makes based on their use of a wide sole “flange” that extends from a the back of the club. While it has tightly milled grooves and a face texture to provide even more spin, it’s that flange and the overall design of the clubhead that make it unique. Most golfers find it provides incredible help from the sand, sand shots easier to pull off while providing a substantial amount of forgiveness on chips and shots from the fairway. But the design of the sole and the fact the flange doesn’t extend the entire length of the clubhead allows the wedge to still perform flop shots and allow golfers to use creativity around the green. There is only one finish available, but that shouldn’t deter anyone from trying out this unique and interesting wedge. 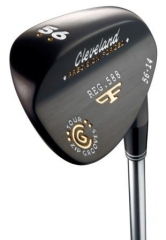 No wedge article would be complete without mentioning Cleveland, and their 588 and CG16 lines of wedges. The legendary wedge maker has been a top name in wedge design for years and one of our favorites at KC Golfer Magazine. The 588 wedges are forged from soft 1025 steel to provide buttery feel in a solid club. They incorporateCleveland’s Tour Zip Grooves which originally debuted following the groove rule changes from the USGA a couple of years ago. With specifically spaced, laser-milled grooves and surface roughness, these and allCleveland wedges are masters of spin whether they are in the 588’s Black Pearl, Chrome, or Satin finish. 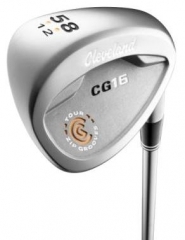 The CG16 wedges are aimed at providing more help for less experienced golfers, with a slight degree of offset and a cavity back design. They have the same Tour Zip Grooves as the 588 and come in two finish options, Black Pearl and Satin Chrome. These wedges are just the tip of the iceberg in the marketplace, but include all the clubs our golfers and testers found the most helpful and the most interesting to note. While Titleist Vokey wedges tend to be found in more of our bags than any other, we do have some recent (and perhaps still pending) converts to the TaylorMade ATV and Callaway Forged wedges. The best thing to do is get fit for an entire set of wedges. A fitter will work with you to figure out what type of wedges fit your game while making sure the lofts in your wedge set provide the right distance gaps and versatility for all phases of the short game. Great Life Golf and Fitness has made a name for itself in its efforts to re-define the country club experience. 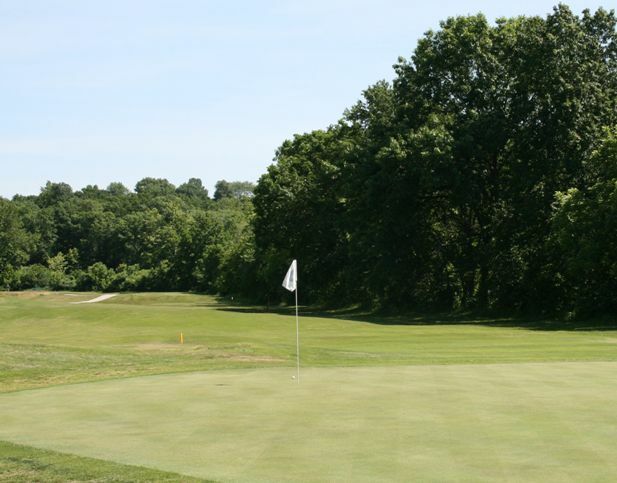 River Oaks in Gladstone is just one of its locations in Kansas and Missouri offering 18 holes of golf integrated with a full service fitness club and other amenities. The club is representative of Great Life’s ambition to provide the whole family a place to enjoy and be active at an affordable price. While the clubhouse features a full workout facility complete with treadmills, stationary bikes, elliptical machines, free weights and machines, it is the golf that is the centerpiece of River Oaks. Don’t let the newly renovated billiards and game room in the clubhouse’s upper level distract you when you check in. Keep the focus, and hit the golf course. While the course is not long, it is not without challenge and interest. The course tops out at 6400 yards at the tips, but features tight fairways, tricky doglegs, and a number of hazards, predominantly wooded areas and the frequently present winding river. River Oaks plays to a par 71 or 73, depending on the set of tees one chooses to play – another feature of this interesting track. When we previewed the course in late May, we opted for the last set of tees to experience the entire course. Immediately from the start, we were pleased by the condition of the course. The fairways are well groomed, consistent, and provide clean lies while the greens rolled well and provided a fair challenge for rolling the ball to the hole. A round starts out on a short, but skinny par-5 that plays across multiple elevation changes, meaning a golfer is likely to find a challenging, uneven lie along the way. The lightly canted green accepts shots hit to it, but with trouble left and behind, it requires care for those who attempt to reach it in two. The second shows the golfer how much of the rest of the round will go. From an elevated tee, a decision must be made whether to play straight to the fairway with a long iron, or pull driver and attempt to shape a shot or cut the corner over trees and a waste area. Those who pull off the daring shot will find themselves with a short wedge in to the par-4 while more conservative players might still need to cover 200+ yards. And that is how a round at River Oaks goes. Choose your shots wisely and pull them off, and it’s a very manageable and fun course. Fail to plan your way around and you’ll find yourself in trouble more often than not. The front nine closes out with a short par-4 that plays up a hill with trouble right and left to a postage stamp green. With a well-placed tee shot that avoids the out-of-bounds right and timbered hazard to the left, golfers will need to hit the green for any chance at a par. After a cool drink and a little re-grouping, the back nine opens with a sweeping downhill par-4 that appears wide open, but can lure you to sleep with the broad view from the tee box. The eleventh is the first of the two holes that plays to two different par values – in this case either a three or four – depending on the tee box a golfer is playing. The twelfth is another of the bones the course throws you in a wide open, moderate length, straight par-5. With a couple of well-placed shots that avoid the fairway bunkers, a solid wedge is all that stands between a golfer’s chance at birdie. With a few more signature dogleg par-4s (one that might be a par-5 if you play that tee box) and a couple of challenging par-3s, the round wraps up with a dogleg right par-5. If you can keep your concentration throughout the round and continue to play with a solid plan, the course will reward you with an enjoyable round and a fun challenge. When the round is done, you might not be ready for a workout, but the newly renovated upstairs billiards and game room is likely a better place to round out your day. Grab a soda and tally up your round over a game of eight-ball and, when it’s done, plan your next round at one of Great Life’s other facilities. 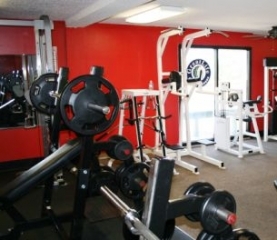 Great Life offers three tiers of membership that provide additional courses and facilities at each tier. 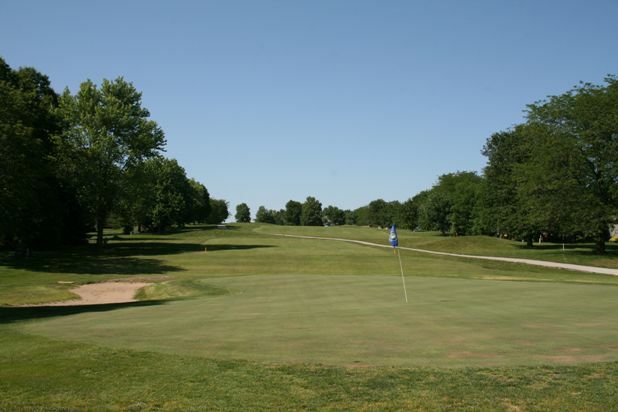 The Golf Club of Kansas and Staley Farms are also Great Life courses with their own set of membership rates and amenities. Give Great Life a call for more details. 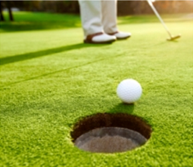 Whether you prefer to play golf, workout, hang out, or all of the above, Great Life aims to please you and your whole family with a variety of activities and options. Give River Oaks a try and enjoy a unique golf experience.